All eyes will be on the octagon Saturday night when UFC featherweight champion Conor McGregor jumps two weight classes in three months to fight Nate Diaz on 10 days’ notice. It is unknown if Robbie Lawler (pictured) was planning on shelling out $64.95 to order the pay-per-view, but the reigning UFC welterweight champ might want to now. During Thursday’s UFC 196 pre-fight press conference, UFC president Dana White said it is possible a victorious McGregor could challenge Lawler for his crown in his next outing. “I’m open to doing whatever [McGregor’s] considering,” White stated. “If he wants to fight at 170 [pounds] and he wants to fight Robbie Lawler, Conor is tough to deny these days. Nobody’s ever done this, 145 pounds going to 170. McGregor was slated to jump to lightweight and challenge champion Rafael dos Anjos on Saturday, but dos Anjos suffered a broken foot and was forced to withdraw from the highly anticipated shootout at the 11th hour. McGregor was looking to make history by becoming the first UFC fighter to simultaneously own two different titles. That still appears to be on the table, but it seems McGregor’s second piece of jewelry could be at welterweight instead of lightweight. It is unknown how long dos Anjos will be forced to ride the pine and McGregor has stated he plans on returning for the blockbuster UFC 200 event on July 9. McGregor looking to claim Lawler’s gold is certainly box office enough to headline the historic extravaganza. 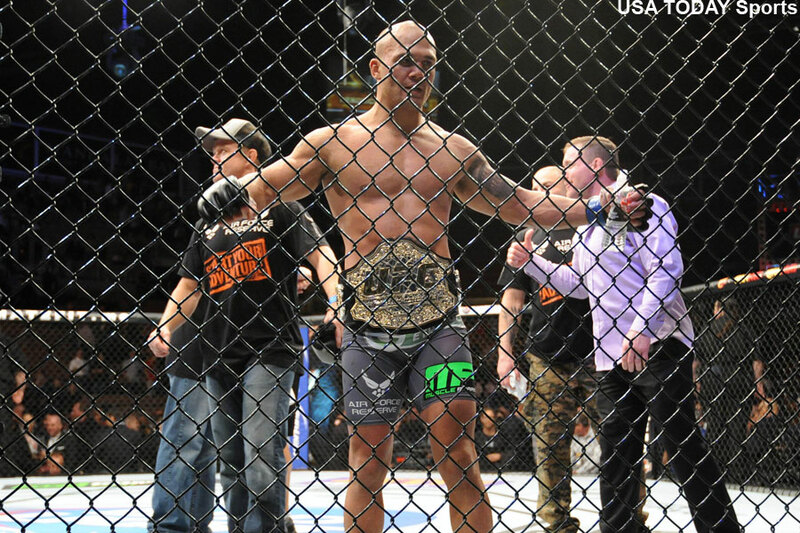 Lawler was last seen in January taking a controversial split decision win over former interim welterweight champ Carlos Condit. Lawler has yet to be issued his next assignment. Regardless, first things first. McGregor needs to get past a game Diaz on Saturday. UFC 196 goes down inside MGM Grand Garden Arena in Las Vegas.